“At sixteen, Mina’s mother is dead, her magician father is vicious, and her silent heart has never beat with love for anyone—has never beat at all, in fact, but she’d always thought that fact normal. She never guessed that her father cut out her heart and replaced it with one of glass. When she moves to Whitespring Castle and sees its king for the first time, Mina forms a plan: win the king’s heart with her beauty, become queen, and finally know love. The only catch is that she’ll have to become a stepmother. Thank you to Flatiron Books for sending me an ARC of this lovely book! 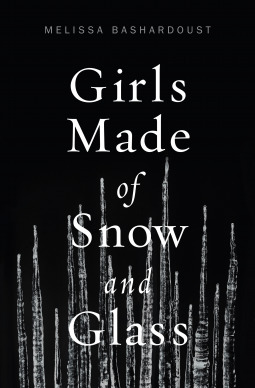 Girls Made of Snow and Glass takes the story of Snow White and puts it back where it belongs- in the hands of the women it’s about! The focus here is the relationship between Lynet and her stepmother, Mina. Perhaps they were not always rivals as other tales would have us believe. Mina and Lynet are both powerful, but they are constantly manipulated by their fathers, each with their own agenda. Their true strength can only be realized if they stand with one another. And the way the book is written is perfection. Every time the women have unkind thoughts or doubts about the other, they come back to their affection for one another and are willing to give each other the benefit of the doubt. This book is pure girl power, through and through. Now that is a fairy tale retelling that I get behind. Plus: A princess who isn’t waiting for Prince Charming to come save her…partly because she’s queer and partly because she can save herself! Minus: It’s a character driven novel so there’s not a lot of action and the pace is a bit slow at times. 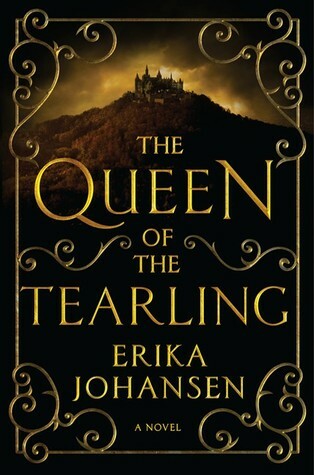 The Queen of the Tearling by Erika Johansen- Also a slow burning novel about a young woman who must learn to harness her power and become the queen she was born to be. “Justyce McAllister is top of his class, captain of the debate team, and set for the Ivy League next year—but none of that matters to the police officer who just put him in handcuffs. He is eventually released without charges (or an apology), but the incident has Justyce spooked. Despite leaving his rough neighborhood, he can’t seem to escape the scorn of his former peers or the attitude of his prep school classmates. The only exception: Sarah Jane, Justyce’s gorgeous—and white—debate partner he wishes he didn’t have a thing for. First, I would like to thank Random House Children’s for allowing me to read Dear Martin before publication! Baby’s first ARC (advance reader copy, for those of you who may not know the term). 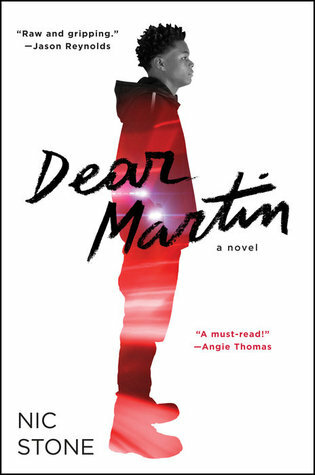 Dear Martin is a strong book in terms of plot and message. But while I was reading, I was constantly wondering if the copy I had was merely a preview edition or if sections were outright missing because the transitions seemed very choppy. For example, Dr. Martin Luther King Jr. features prominently in the book, yet the main character never really explains why. Because of my disconnect from the story, I felt a little disconnected from the characters. But the story definitely kept me hooked and I finished in about two hours, that’s how anxious I was to know how it ended. It does end on a somewhat bleak note, but what I took away from this book is that even changing the minds/outlooks of one or two people can make an impact. And that’s a powerful message. Plus: If you want to think and you want to ugly cry (which isn’t always a bad thing), this book is for you. And I want to know more about Black Jihad- they sound intense. Minus: Needs a bit more exposition and detail in some places. 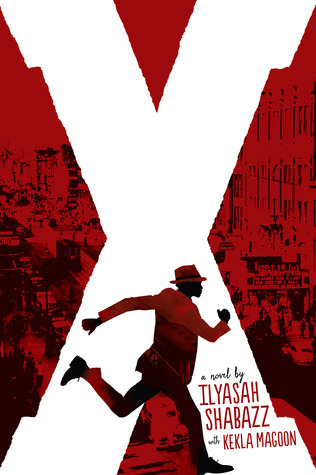 X by Ilyasah Shabazz and Kekla Magoon- The re-imaged youth of another prominent civil rights activist, Malcom X. And it’s co-written by his own daughter, how awesome! For whatever reason (probably the blurb above because it seriously does this story no justice), I wasn’t expecting much from this book. And I definitely didn’t expect it to hit me over the head with a sledgehammer of delight. 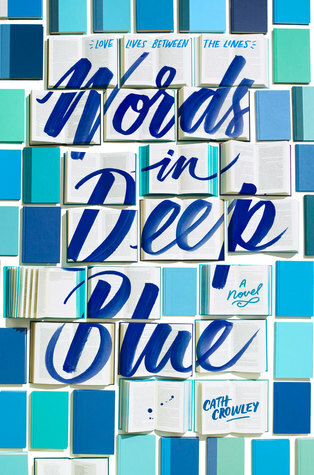 Words in Deep Blue could so easily be about a dumb guy stringing the perfect girl along while he pines over the one who keeps dumping him. And in way, that’s kind of exactly what it is. But bear with me here, because that plotline is clearly not the highlight. There is an overarching theme of love and loss that is just so powerful, I have no words. I am positively in love with the way Crowley writes about it, it’s so lush and poetic. This book made me want to give up all my life plans in an attempt to write something this good. The feel is by far the real star of this book. Plus: This book is poetry, man. And I wish there were an actual Letter Library somewhere near me. Minus: I did have some issues with some of the characters. Henry is kind of a throwaway, pretty naive and frustrating to me. But hey, he is an 18 year old boy. I also felt like Amy probably had some deeper issues to sort out and we see none of that here. She comes across only as a villain, which is two-dimensional and unfortunate. 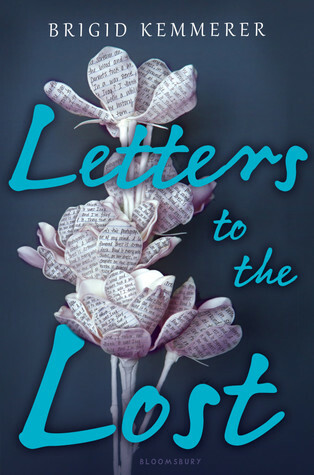 Letters to the Lost by Brigid Kemmerer*- Boy meets girl by writing to her through letters left at her mother’s grave…better than online dating? You decide. *Disclaimer: Not sure if the writing style lives up to Words in Deep Blue, but I’m willing to give it a whirl. This is really just one big love letter to Tumblr. Which I thought I would like, considering I am “Tumblr trash,” as my brother-in-law would say. But for some reason, it just didn’t resonate with me. Maybe there weren’t enough of my personal fandoms mentioned- but don’t think I didn’t see Doctor Who, High School Musical, and Camp Rock in there!! Plus maybe a brief Supernatural reference. A lot of this book is painful awkwardness and people not talking to each other because they’re insecure about themselves. The characters talk about how they have to be fake and boring for their school friends and maybe that’s part of why I didn’t connect with them much. Because they do come off as boring the majority of the time. The story of Carys and Raine in London together would actually be a brilliant buddy comedy though. Potential sequel?? 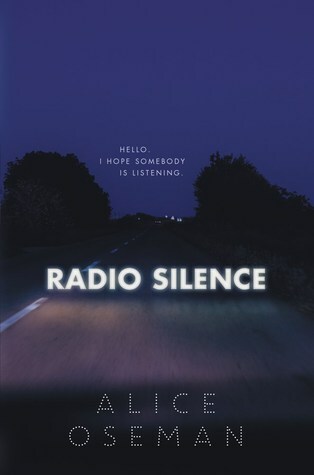 And I kind of wish the entire thing were just composed of the Radio Silence show transcripts because oof, those were actually really beautiful. Plus: Fandoms, a boy and a girl who (shocker) can be friends without being in love with each other (! ), and the creation of a really fun imaginary fandom. It’s just too bad the show doesn’t exist in real life. Minus: Lengthy with a very slow build, slightly whiny characters, the fact that I can’t actually listen to the Radio Silence show. 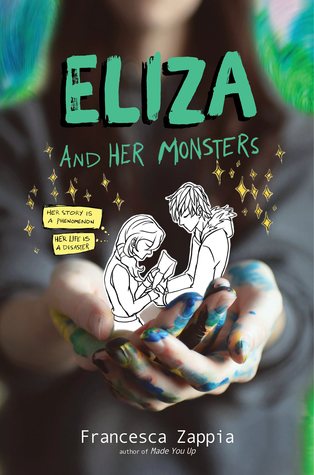 Eliza and Her Monsters by Francesca Zappia- A very similar set-up (creator meets fandom fan) except the creator is the main character and there’s romance involved. Setting: The Spring Court, ruled by Tamlin, and the Night Court ruled by Rhysand. Feyre: Formerly human, now resurrected as High Fae by the High Lords. Engaged to Tamlin, the High Lord of the Spring Court. Tamlin: High Lord of the Spring Court. Kind of terrible, with a short temper and control issues. Despises Rhysand for personal reasons. Lucien: Tamlin’s right hand man. Originally of the Autumn Court, but serves in the Spring Court under self-imposed exile. Ianthe: One of 12 High Priestesses of Prythian. Very conniving and manipulative. Rhysand: High Lord of the Night Court. Known for being terrible and cruel. Feyre and Tamlin are about to be married, but Feyre is suffering from PTSD following the events of A Court of Thorns and Roses (aka being resurrected as High Fae). Tamlin continues to be controlling and overprotective of Feyre which doesn’t really help the whole PTSD thing. For this reason, she mentally summons Rhysand to the altar at her wedding and he invokes the bargain they made to save her life Under the Mountain- she must live with him in the Night Court for one week a month. 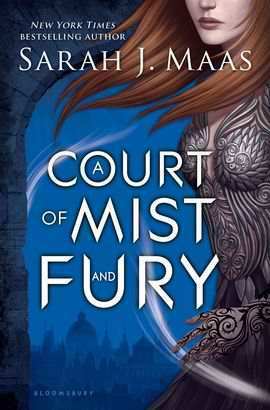 To Feyre’s surprise, the Night Court isn’t as terrible as everyone says. Rhysand is kind to her and actually shows an interest in training her to fight. While on an errand for the Night Court, Feyre finds out that the King of Hybern is going to resurrect Jurian (a general in the war between mortals and fae). In order to do so, he must reassemble the Cauldron and the Book of Breathings. The Cauldron would allow him to tear down the wall separating the mortal and fae worlds. The book is also capable of destroying the Cauldron. But it was ripped in two- the mortal queens have half and the High Lord of Summer has the other. As Feyre trains to go up against Hybern, she beings to manifest a number of abilities. Turns out, as a result of her resurrection, she has inherited powers from all of the High Lords. Meaning most of them would probably want to kill her if they found out. Rhysand and Feyre become closer as she learns that he’s been pretending to be cruel to protect his kingdom. He tells her how he conceded to be Amarantha’s pet in order to shelter one of his cities, Velaris. She also learns that Tamlin killed Rhysand’s mother and sister and only in retaliation did Rhysand’s father kill Tamlin’s family. But the biggest and juiciest thing Feyre finds out about is definitely that she and Rhysand are mates. And he’s known for years. The group heads to Hybern to destroy the Cauldron, but Tamlin sells them out and they are captured. Hybern uses Feyre’s sisters to show the mortal queens that the Cauldron can give them immortality and they are both remade as High Fae. Feyre pretends that Rhysand was holding her captive and manipulating her. She says she wants to go home to the Spring Court with Tamlin, but little do they know, Feyre is now the High Lady of the Night Court.